As you know already, with the approval of Dreamspinner Press, we’re reviewing previously published books. We continue with Valentina Heart’s the Among Wolves, paranormal series. This is a different kind of shifter book. In this universe, shifters are acting more on the animal instinct than the human one. Wolf shifters are one of my favorite sub-genre in MM genre. I read a lot of wolf shifter books, but this is a kind of a first read with these special characteristics. If we think of it, wolves in their natural habitat are living on their instinct. They’re ruled by animalistic needs. In this book, we witness the rawness of this instinct with shifters in their human form. When they love, they love with unconditional love, but when they’re angry there is blood and hurt and bruises. If you have experience with domestic abuse than please don’t read it because it may trigger you. But know this, in these scenarios we don’t talk about domestic abuse, not really because they give as hard as they get. The power between mates is balanced. There is a dominant and a dominated, but they act upon that just the first time to set dominance. The predator and the prey. Sebastian loves his mate Tim. But Tim was in an accident, and he can’t stand the pain, so he shifts and remains as a wolf for a long time. 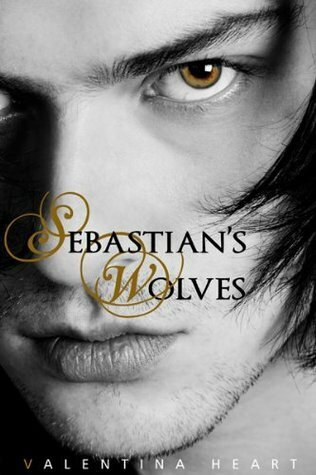 After a time, Sebastian finds himself in a new territory forced by the ruling alpha to shift and ask for permission to stay. For the very first time, he feels the Western packhouse as his real home. When one day a striking vision appears in front of the packhouse, he knows he found his new mate. Eshan came to ask the western pack alpha’s help to end the killing in his pack by his alpha. Finding Sebastian, his mate is a surprise for both. Their mating is pure animalistic dominance. Pain and Pleasure, both welcomed and enjoyed. I liked this book! It pushed my limits and helped me to go out of well-used terms when we read shifter sub-genre. I highly recommend it. You will be taken by the rawness the pure animalistic behavior and the tenderness that follows.